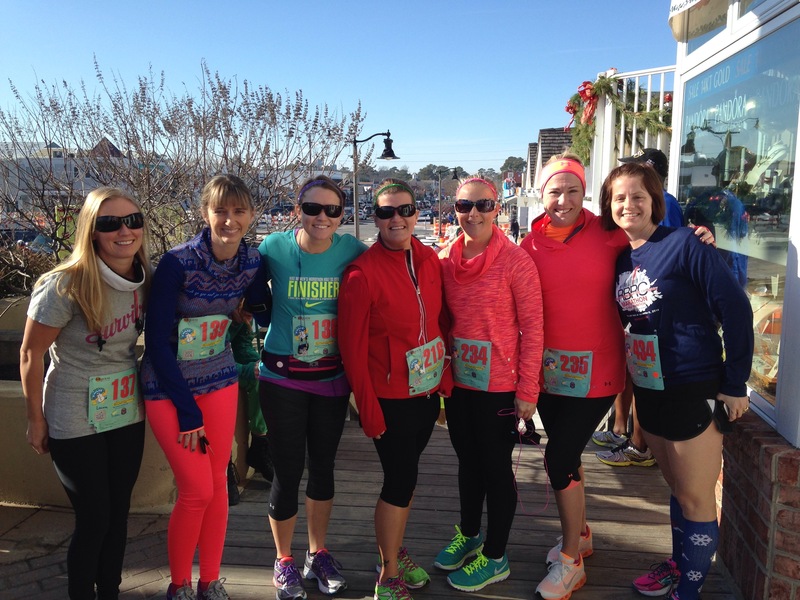 Besides racing in absolutely perfect weather AND getting a PR there is something I love more… Running with friends! 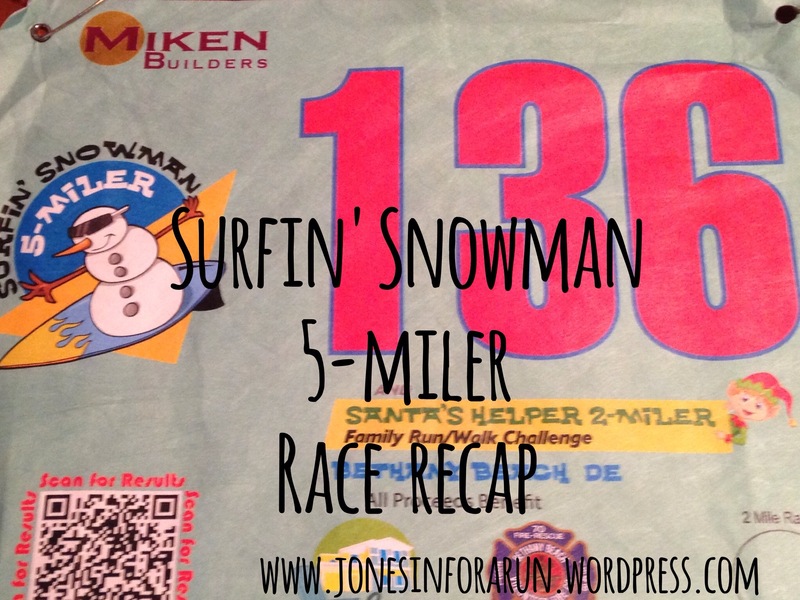 Today’s race, the 2nd annual Surfin’ Snowman 5-miler and Santa’s Helper 2 Mile run, brought all those things for quite a few people! 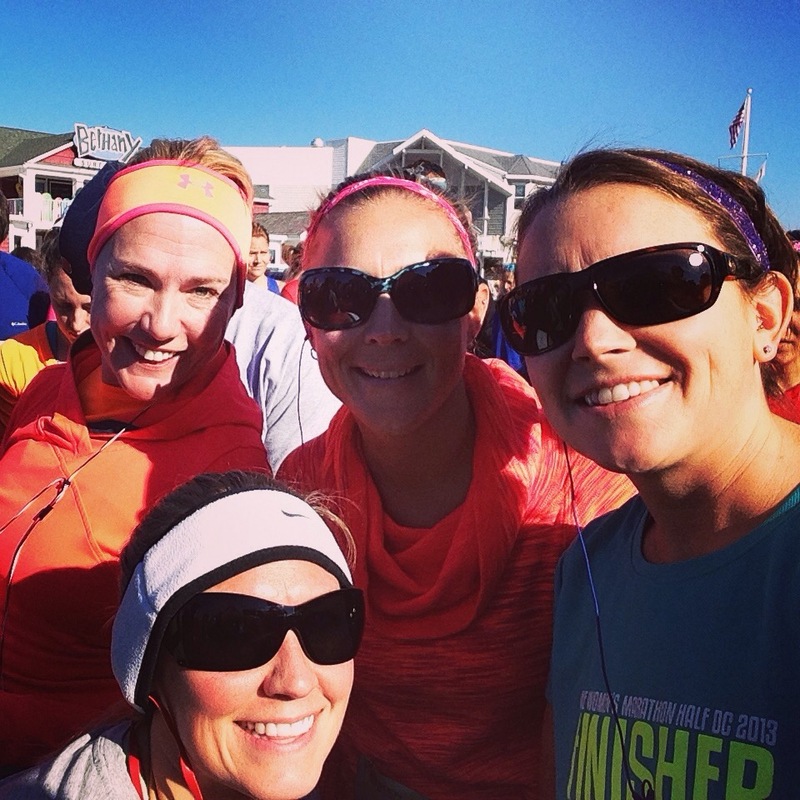 I ran this race last year in Bethany Beach with my sister and brother in law because honestly the weather was so stinking perfect, and today was exactly the same. This December has been all over the place with temperatures so it has been so nice to have back-to-back perfect running days! After the uber busy holiday it was nice to unwind with a nice and easy 5 mile run yesterday and then the 5 mile race today! 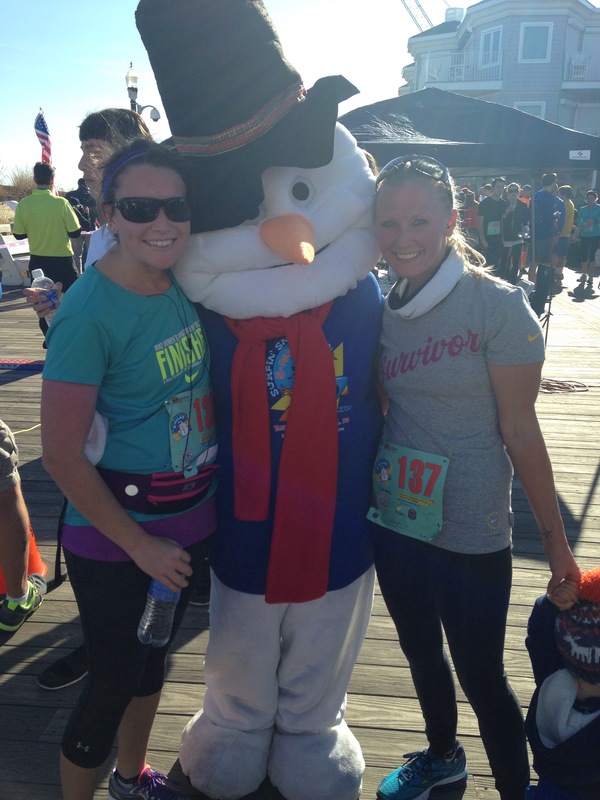 The Surfin’ Snowman started at noon today so the morning chill had worn off and it was just all sunshine! 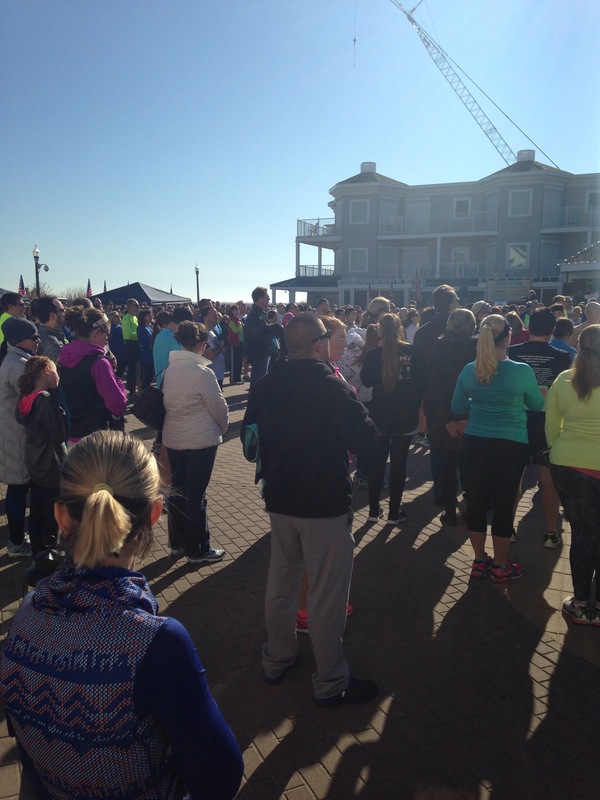 All the runners gathered on the boardwalk for the pre-race meeting and National Anthem. 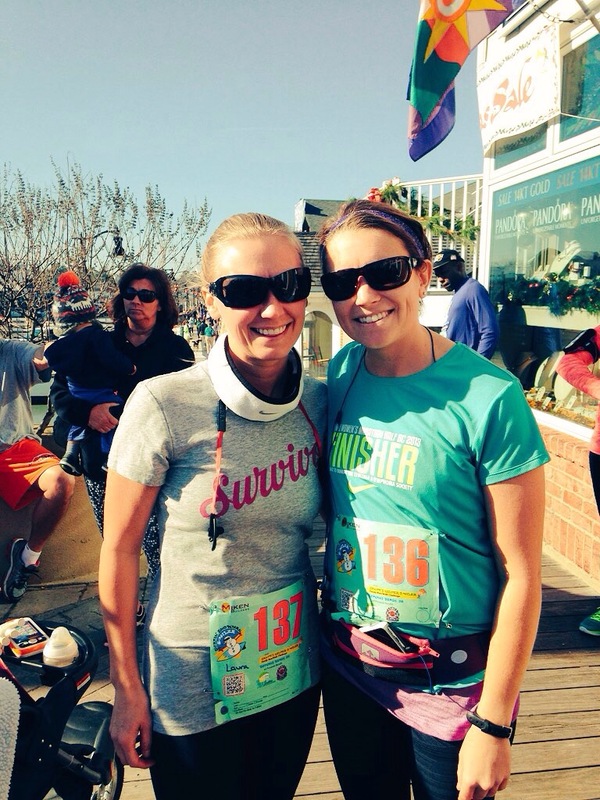 We were able to do packet pick-up the night before at the Baja Beach House Grill so we could just show up and run- which is always a favorite thing of mine! Once things were done on the boardwalk we headed down to the starting area. 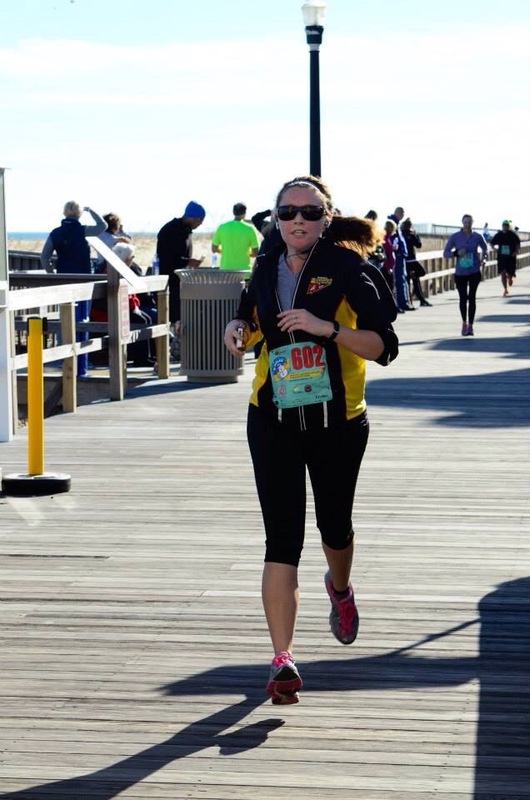 This race is a unique distance and I have found I enjoy running something other than the traditional 5k or 10k- it creates a new challenge which is always fun, and well a challenge. When races do not start first thing in the morning I always have a hard time getting focused. Today started out that way for me but I was able to shake away all the clutter and just enjoy the race. After about a mile I convinced myself I was running MY race today- not worrying about the others that were with me or keeping up with anyone- just running and hopefully beating MY time from last year (45:00). After my mental pep talk I settled in and ran my race. 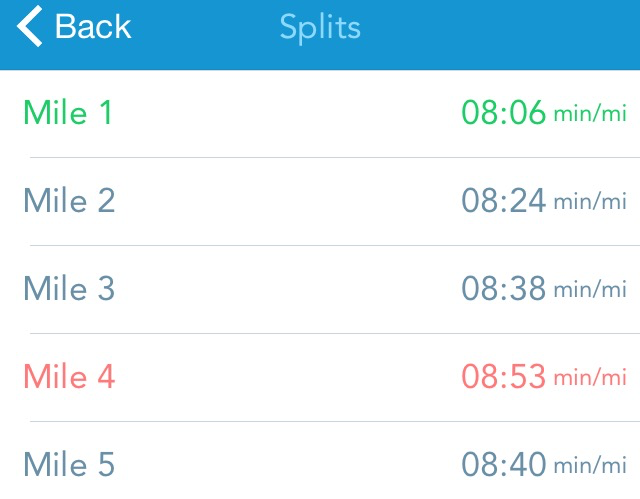 As you can see from my splits I was somewhat steady but progressively got a little slower each mile which was fine! I ended up finishing in 42:25 which I was more than pleased with! 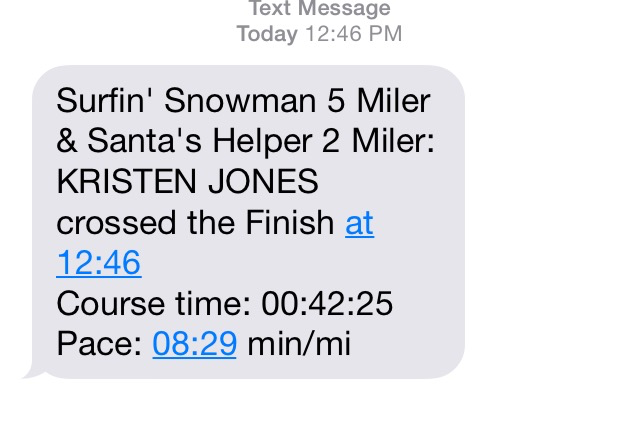 One cool thing about the race is you can sign up for text/social media results. As soon as I crossed the finish line I had this text waiting for me! Gotta love technology! Some of the girls I ran with also had Personal records today which is always exciting! One of the cool things about running is that there is always something to celebrate- longest run, quickest mile, negative splits, YOU FINISHED- it’s always worth celebrating! I loved seeing all the excitement of those who have worked hard and earned their personal best today! Below are more pictures from the race! It was very well organized and a great day- plus who can pass up the adorable snowman? !